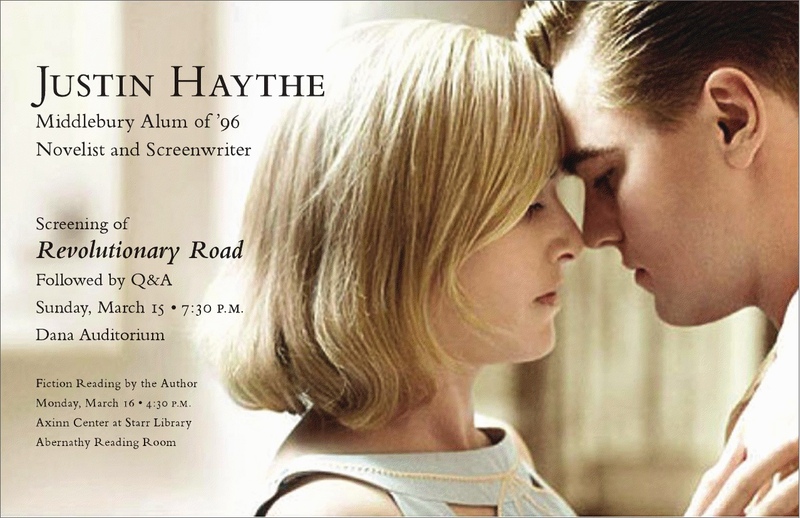 Justin Haythe ’96 will return to Middlebury to screen Revolutionary Road, which he adapted from the Richard Yates novel. The screening will be in Dana Auditorium on Sunday, March 15 at 7:30 pm, followed by a question & answer session. In the latest issue of Middlebury’s career services newsletter, there’s a profile of Ed Bogart ’02, who has worked in television production since graduation. Some good advice for climbed the post-production ladder!